Last month I was able to spend a weekend at the indigenous township of Salasaka, in Tungurahua province, at the home of Jorge Caisabanda and family in the Huasalata community. We are planning to start the survey phase of the project in one of the communities here in December. I visited a number of different traditional medicine practitioners and yachaks, including Don Rubelio, who had previously conducted a ‘limpieza’ with me at Taita Punta Rumi back in January (Ritual at Hanging Rock). Traditionally some yachaks are also ‘parteros/parteras’ – midwives – and can be men as well as women. 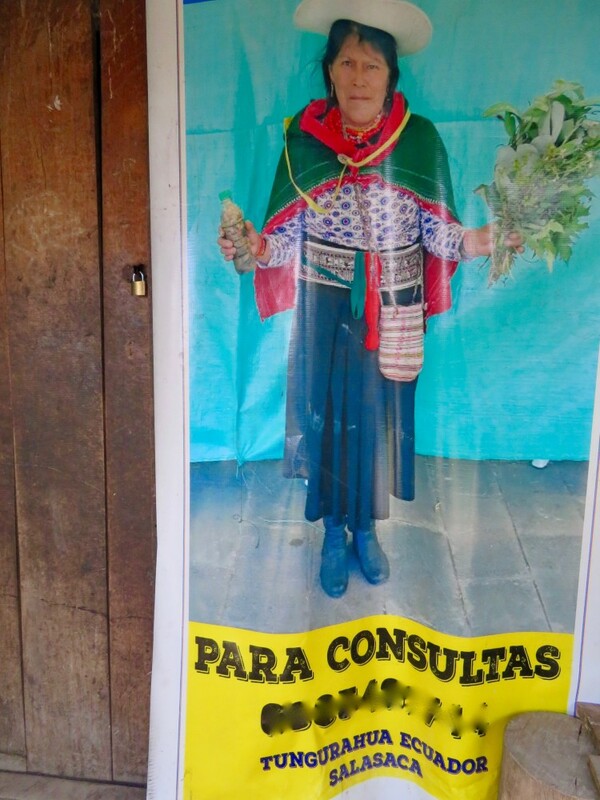 Although Ecuador has enshrined inter-cultural health provision in the legal framework of the constitution, wherein indigenous peoples have the right to have their own health beliefs and practices respected, in practice this is poorly integrated into health service provision. A woman might choose to give birth in her own home with a traditional birth care assistant in attendance, but this can raise issues of safety in the case of complications. A safer care route is recommended wherein the woman may present at a birthing centre or maternity ward in a hospital, in which case although the partera/o may be present, she ceases to have any formal role in the delivery as soon as the clinical facility is entered. Many modern clinical facilities of this nature are very alienating to traditional peoples and the exclusion of the birth care assistant, who is frequently well known to the woman and her family, exacerbates the problem. Reconciling the issues of clinical safety on the one hand with respecting the views and feelings of the patient on the other presents complex challenges to health care providers. In some ways modern Western systems have faced kindred problems in Maternity Services, wherein the increasing medicalisation of childbirth has been recognised to have an alienating affect upon women giving birth and does not inevitably lead to better outcomes. In Salasaka, I met a lady called ‘Suzanne’, a relatively rare example of an indigenous yachak and partera, who also has formal medical accreditation as a midwife. This means she can take her patients into modern birthing facilities and provide traditional care (massages, manipulation of the fetus, the administration of herbal teas to assist the delivery phase etc.) in an environment where clinical assistance in the case of emergencies is immediately available. 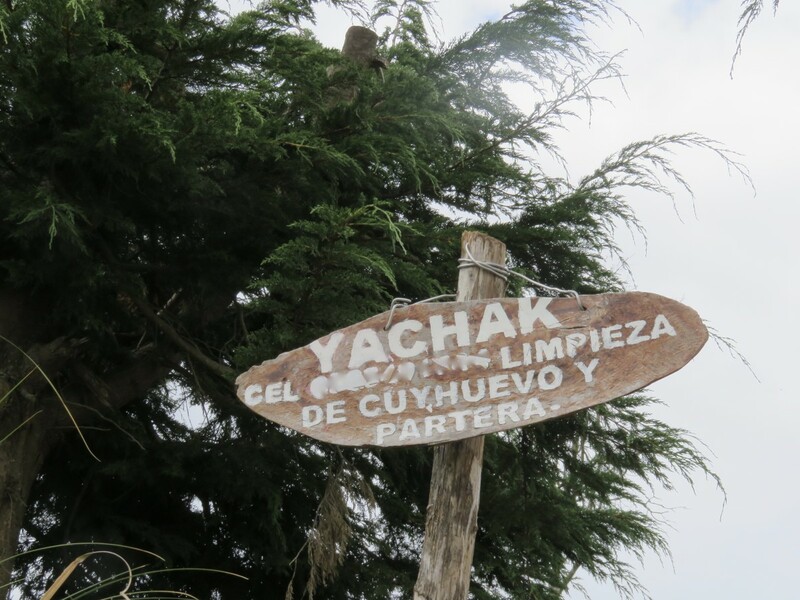 In addition, she carries out the range of traditional diagnostic and healing therapies commonly employed by yachaks and curanderos in these regions. In this way, there is a better balance of traditional and modern biomedical healthcare provided, a system referred to as ‘inter-cultural health’. This blog entry was posted on Wednesday 18th October 2017.